We're a little late in marking the occasion, but we can't possibly let the 40th anniversary of Dungeons & Dragons go unmarked. Others have said plenty (here's an example), but here's what people at Steve Jackson Games have to say about it! One of my most memorable moments was playing a cleric named Tom. Tom was near death (in the negative hp range), and on a saving throw I rolled a critical. It healed Tom almost to full. Then Tom turned around and healed everyone else in the party to full, with heals left over. Tom was never the strongest character. But what he lacked in power he made up for in healing... and luck. Somehow, even with only doing minimal damage, he always made the killing blow. It was my first roleplaying game, the thing that got me into the hobby. Without D&D, I might never have started on the path I'm on now. I've had an on-again-off-again relationship with the game over the years, but it's the game, the one that started it all. I'll always love it. Lifelong friends and more, because of D&D. I remember all night gatherings of my friends in Jr High. 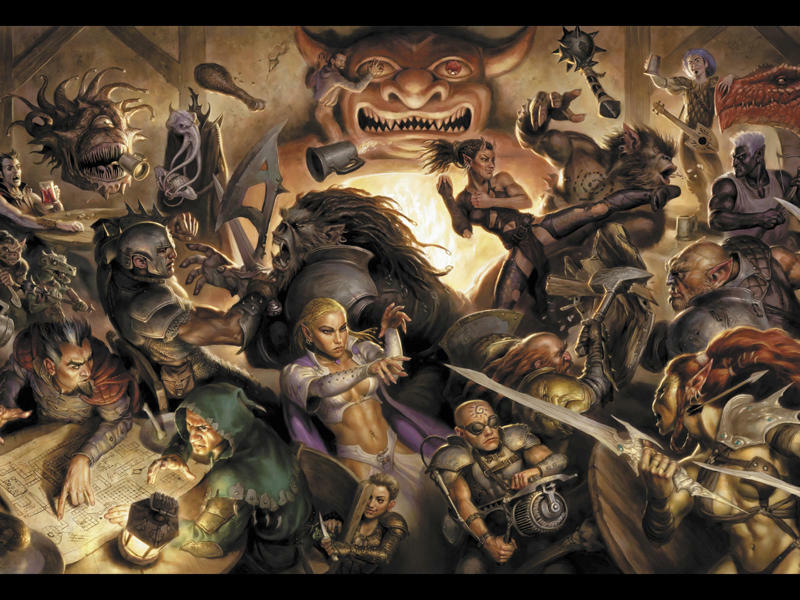 We could never get enough of what D&D allowed us to be, rather than what we were expected to be. As the years went by, and our group matured, it turned into a sort of problem solving experience that only roleplaying could provide. For most of us, it gave us a competitive advantage in the workplace, allowing us to think about things from different points of view that our peers, who had not played D&D, couldn't comprehend. Some of us went into sales, some management, some the film industry, but all of us correlate our successes back to the ability to see things though others' eyes. Now a Psychology degree might have been more recognized and helped us land jobs, but most of us didn't have the time or inclination for more formal education, and what we really needed was just a boost on how to deal with people we had never thought of dealing with before. We still try to meet up every spring. Head to a cabin in Big Bear, and spend a weekend dusting off the old characters. It usually only takes us a few hours, and we are back in the groove, it's still that much a part of our lives, thirty years later. 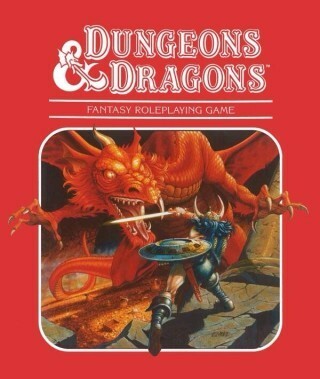 I've been playing D&D since 1977. The group I play with every Friday night has been playing together since 1983 (yes, over 30 years), and includes now-grown kids of current players. We're really excited to see what WotC has in store for the new version! While growing up, I ran various editions of D&D for family members and friends, and I played the Gold Box games on the Apple IIc we had. The joy of that sort of fun helped me decide that I wanted to work at TSR, Inc. as an editor so that I could help make fun happen for others. After attaining my degree in English, I got my wish! I've worked on D&D for nearly 20 years now in some official (and career-oriented) capacity, first at TSR, then at Wizards of the Coast. What a ride this has been and continues to be! The best quote I can provide from my most recent one-shot: "Bad feeling? Your bad feeling got that innocent little old lady killed!" Wow, D&D is 40. I graduated from college and founded a game company before it was published, and still played tons of it. While home from college for the summer I would invite all of my friends over to my parents' house and we would take over the living room. Baked goods, balors, and incessantly making fun of the bard. Orcs that critically fail and lose toes, rangers standing on the ceiling, wizards failing their saves versus death, and monologuing villains interrupted by flame strikes. Excellent times. It's pretty hard to overstate the impact of D&D on my life. It birthed the RPG hobby. That hobby is the reason I've met and kept a lot of friends and loved ones, and it's also the nexus of my professional life. I owe it a tremendous debt of gratitude. At age 8, I somehow managed to convince my then-stepfather to let me play D&D with his university group. They took great joy in tormenting the elf I created. The most notable torment was him walking into a dwarven tavern, picking a fight, and getting his ears cut off. Ah memories! I started playing D&D early in 1981, and have played in every edition from Basic/Expert through the much-maligned 4E. Many of those games still rank among my very favorite roleplaying experiences . . . and some of the events from those sessions have ended up as Munchkin cards -- good luck guessing which! Congratulations to everyone who has ever rolled a 20-sided die on D&D's 40th anniversary, and thanks to Gary and Dave. We miss you guys.